Elwood P. Dowd: Years ago my mother used to say to me, she’d say, „In this world, Elwood, you must be,” – she always called me Elwood – „In this world, you must be oh so smart, or oh so pleasant.” Well, for years I was smart. I recommend pleasant. You may quote me. Elwood P. Dowd: Well, I’ve wrestled with reality for 35 years, Doctor, and I’m happy to state I finally won out over it. Elwood P. Dowd: Miss Kelly, you know, when you wear my flower you make it beautiful. Elwood P. Dowd: Harvey and I sit in the bars… have a drink or two… play the juke box. And soon the faces of all the other people they turn toward mine and they smile. 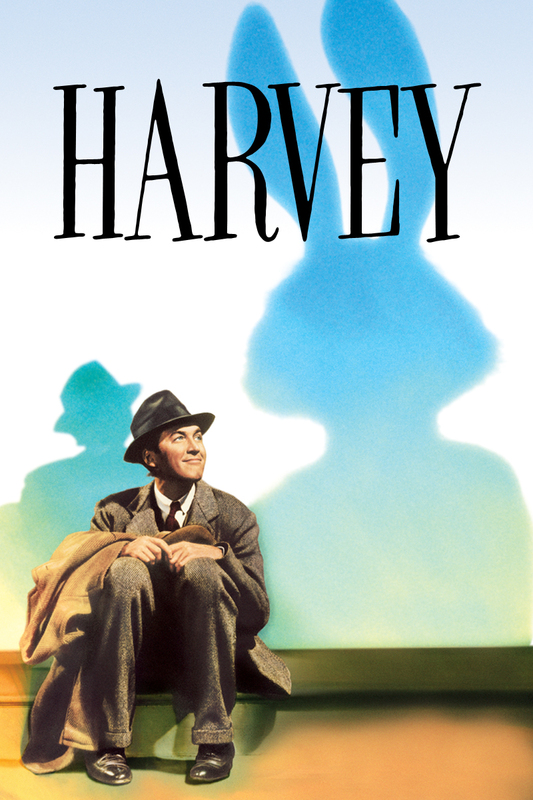 And they’re saying, „We don’t know your name, mister, but you’re a very nice fella.” Harvey and I warm ourselves in all these golden moments. We’ve entered as strangers – soon we have friends. And they come over… and they sit with us… and they drink with us… and they talk to us. They tell about the big terrible things they’ve done and the big wonderful things they’ll do. Their hopes, and their regrets, and their loves, and their hates. All very large, because nobody ever brings anything small into a bar. And then I introduce them to Harvey… and he’s bigger and grander than anything they offer me. And when they leave, they leave impressed. The same people seldom come back; but that’s envy, my dear. There’s a little bit of envy in the best of us.